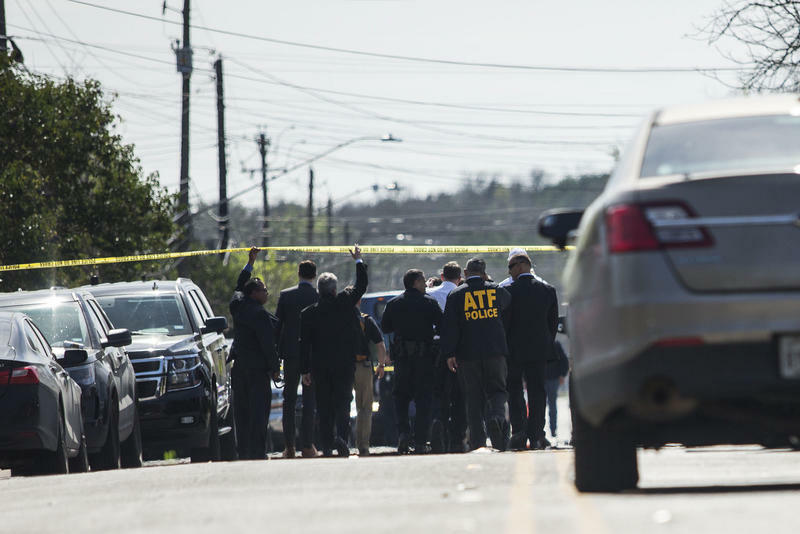 Is The Austin Serial Bomber A 'Terrorist'? Not Legally – Yet. 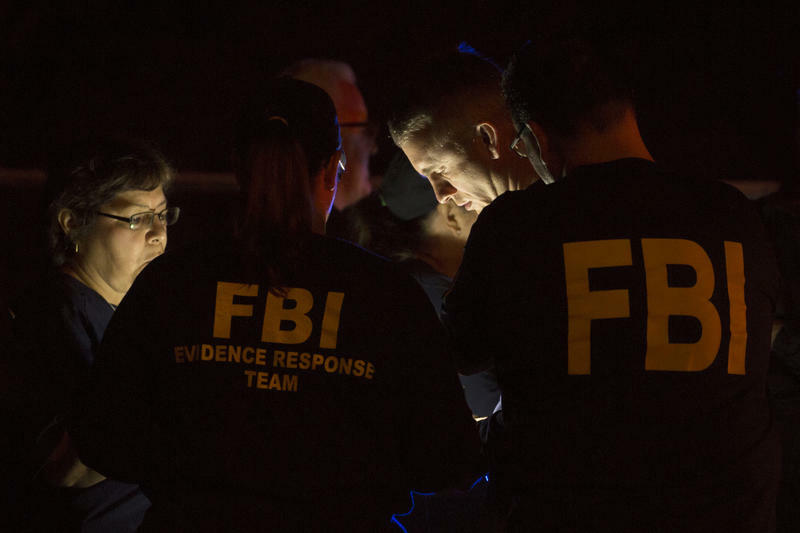 FBI agents respond to the scene of an explosion in Southwest Austin on Sunday. When Natalie Rogers defines the word "terrorist," she starts with the root. “It is someone who is trying to invoke terror,” said Rogers, a 36-year-old software engineer in Austin. To some residents, the serial bomber successfully did that. Since March 2, explosions in Austin have killed two people and injured four. Another bomb exploded at a FedEx distribution center in the San Antonio suburb of Schertz. A final bomb exploded in Round Rock, detonated by serial bomber Mark Anthony Conditt as police closed in on him. So was Conditt a terrorist? Law enforcement officials have avoided using the word because for something to officially be considered terrorism, the fear and terror stoked by violence needs to have an aim. "Even though the words are enormously similar, there's a vast difference between being terrorized and what terrorism is." “Even though the words are enormously similar, there’s a vast difference between being terrorized and what terrorism is,” said Bruce Hoffman, a visiting senior fellow at the Council on Foreign Relations and author of Inside Terrorism. According to the federal government’s definition of domestic terrorism, Conditt would have had to have used violence to attempt to coerce a group of people to do something – be it with a political or ideological goal in mind. 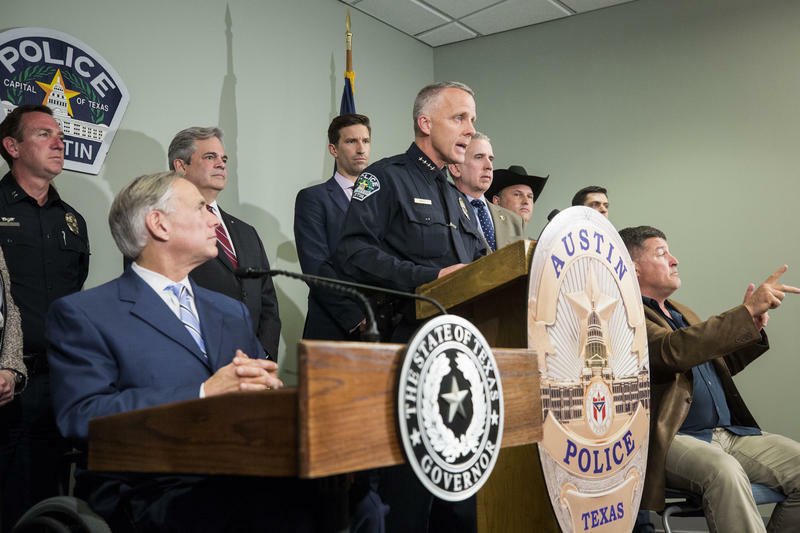 On Thursday, interim Austin Police Chief Brian Manley weighed in, saying the legal definition was beside the point. Even though there is no criminal charge for domestic terrorism, the government can still use the legal classification to investigate or surveil someone. This can run the gamut: anything from the shooting of workers at a Planned Parenthood clinic in Colorado, which some elected officials called “terrorism,” to the Sept. 11 attacks. Consider the 2015 shooting in Charleston, S.C. A 21-year-old white man killed nine black parishioners at a church. The motive? To incite a race war. That would seem like ideological coercion. "In my view, there’s not much of a debate whether someone like Dylann Roof is a terrorist or not because he has ascribed political motives to horrific killings,” Hoffman said. But Roof was charged with other crimes because there’s actually no federal criminal charge for domestic terrorism. On Wednesday, law enforcement officials revealed that Conditt had left behind a 25-minute video confession, in which he described how he assembled seven bombs, including the one set off in his vehicle during the police pursuit. But Manley said the recording did not reveal anything that would lead law enforcement to call Conditt a terrorist or what he did terrorism. “He does not at all mention anything about terrorism nor does he mention anything about hate,” Manley said at a press conference Wednesday. That doesn’t mean the serial bombings won't eventually be deemed terrorism. But Erin Miller, who manages the Global Terrorism Database, said without clear evidence of Conditt’s motive, it might be hard to prove. “If you’re trying to send a message to someone and we don’t know what the message is, it’s not working,” she said. The Global Terrorism Database, which is run out of the University of Maryland and funded mostly by the federal government, is an open-source collection of data on terroristic acts. Miller said a recent example of this is the case of the mass shooting in Las Vegas, where 64-year-old Stephen Paddock shot and killed 58 concertgoers from a hotel window. But whether Conditt’s acts constitute terrorism, it’s hard to argue that people weren’t terrorized – especially people of color after the first three bombings killed or injured black and Latino residents. University of Texas professor Eric Tang published an op-ed in the New York Times on Thursday, detailing historic fear among minority communities in Austin who faced segregation and now face displacement. Over a three-week period this month, a series of bombings in Austin left two people dead and four others injured. The ordeal had many Austinites on edge. 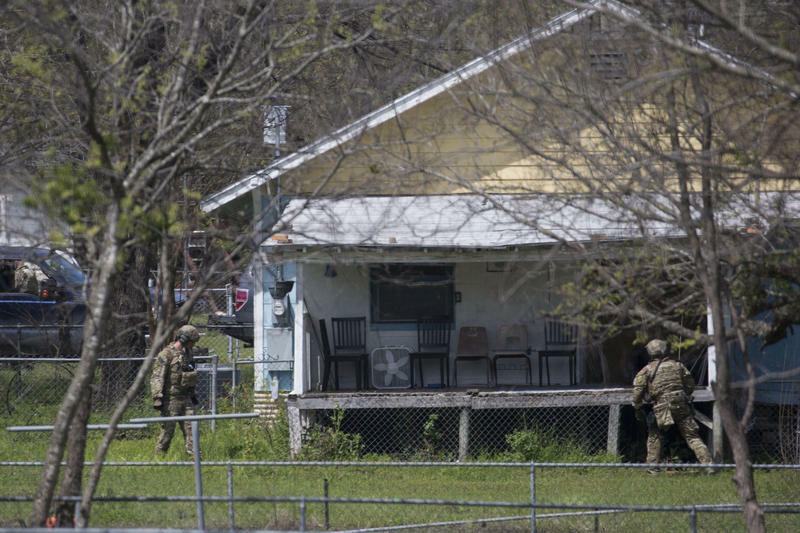 It ended with the death of the serial bomber after a standoff with police in Round Rock in the early hours of March 21. We put together this timeline to lay out how it all unfolded.